I found this recipe on Pinterest. The recipe can be found here. 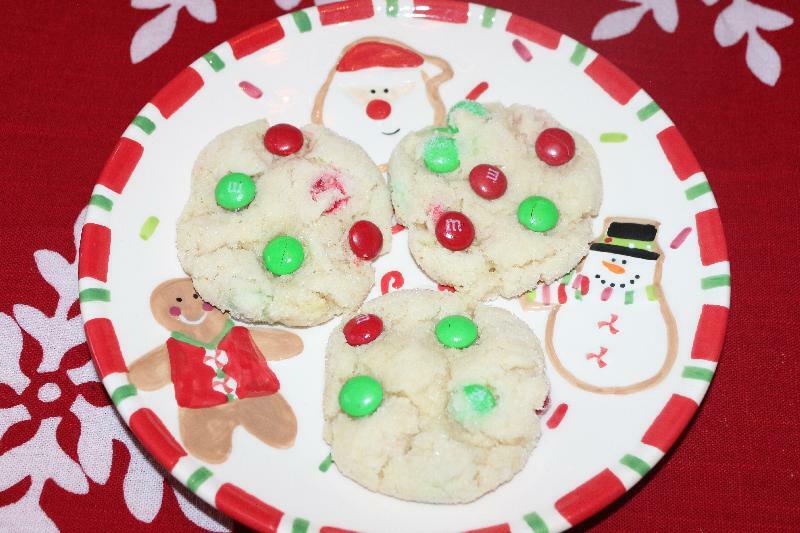 These would work for any holiday by changing out the color of the M&M candies. While I enjoyed these cookies they did not remind me of the kind you can buy out at a store. Combine 1 1/2 cups of sugar and cream cheese in a large bowl. Put the remaining 1/3 cup sugar in a pie plate or large bowl and set aside. Pour the warm butter over the cream cheese mixture and whisk to combine - the mixture won't be completely smooth yet. Whisk in the oil then the egg, milk and vanilla extract. Mix until smooth. Use a rubber spatula to start folding the dry ingredients into the wet. 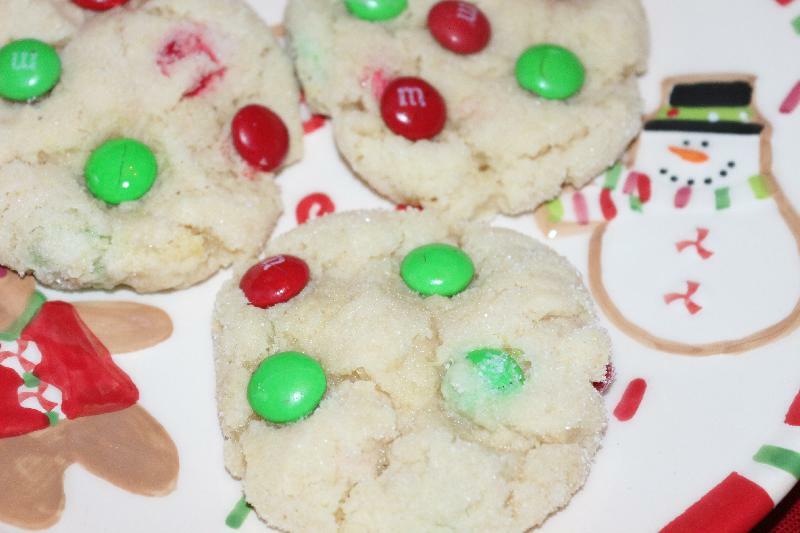 When the dry ingredients are partially incorporated, add 3/4 cup of the M&M's to the dough. Continue mixing until a soft dough comes together. Use a cookie scoop and place the dough onto the cookie sheets. Working quickly, roll the dough into a ball with your hands and then roll the dough in the sugar. Set the dough aside in the pie plate with sugar. Repeat until you've used all of the dough. Place the dough onto the cookie sheets. Use the bottom of a glass to flatten the dough balls into discs that are about 2 inches.